As May draws to a close, I couldn’t think of a better way to end the month than with holding an event in the Big Apple. As we host our first event in New York today on Countering Violent Extremism, it marks the expansion of PS21 into a third major city. Keep an eye on our website for the key takeaways from this event. We also have some incredible events lined up for June. For those of you who haven’t had a chance to look at our events email that went out earlier this week, see below for details, and links to RSVP. June 10, Beyond #bringbackourgirls: Terror and Politics in Nigeria. With former Foreign Office head of terrorism and national security analysis Chris Mackmurdo, journalist Emmanuel Akinwotu, David Otto, Intelligence and counter terrorism solutions consultant, and Sola Tayo, journalist and Chatham House associate fellow. June 17, The Global Peace Index: drivers of peace and building resilience. Steve Killelea, Founder and Executive Chariman of the Institute for Economics and Peace and Member of the PS21 International Advisory Panel, will be launching the 2015 Global Peace index on Wednesday 17th June. Following this presentation, PS21 Executive Director Peter Apps will be chairing a discussion with Professor Sir Lawrence Freedman, Emeritus Professor of War Studies, and Lieutenant-General Jonathon Peter Riley, CB, DSO. The panel will explore the practical applications of identifying the structural drivers of peace, emphasising the importance of strong institutions in building resilience. Click here to RSVP. June 24, London Summer cocktail drinks. 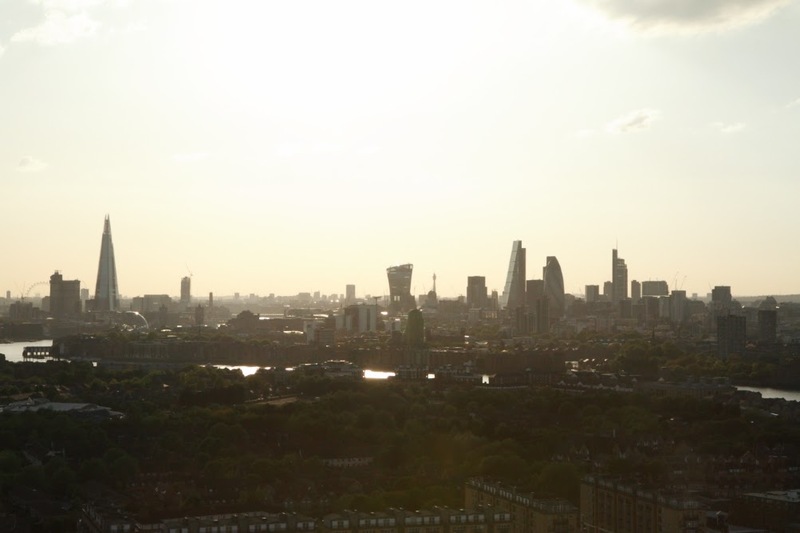 Enjoy a glass of wine and a breathtaking view of London as PS21 together with Young Professionals in Foreign Policy (YPFP) host a summer drinks evening. June 4, What would a Hillary Clinton foreign policy look like? Hillary Clinton currently the strongest Democrat contender for 2016, we look at what a foreign policy under her leadership would look like and what influence her years at the State Department may have on this. Moderator: Ali Wyne: PS21 Global Fellow, Member of the adjunct staff, RAND Corporation, Ari Ratner: State Department political appointee 2009-2012, Fellow New America Warren Strobel: Chief diplomatic correspondent Reuters and Leigh O’Neill, Policy Director for the Truman National Security Project. David Murrin, author or Breaking the Code of History, chairman of Spartent Global Solutions and PS21 Global Fellow takes a look at What’s next for Britain? City Metric published a piece by Emmanuel Akinwotu on how The busiest airport in Lagos is offering free WiFi. Sort of. We had a great discussion in DC on Wednesday night on the current state of the war against ISIS chaired by PS21 global fellow Milena Rodban, with an outstanding panel including Douglas Ollivant, White House National Security Council, Iraq Director 2008-9 and Senior Fellow at New America, Rasha Elass, a PS21 Global Fellow and former reporter for Reuters, NPR and others for Damascus and last but not least Ahmed Ali, Visiting Senior Fellow and Director of the Iraq Security and Humanitarian Monitor at the Education for Peace in Iraq Centre (EPIC). A full transcript and takeaways will be published shortly but you can watch the video of the entire event here.